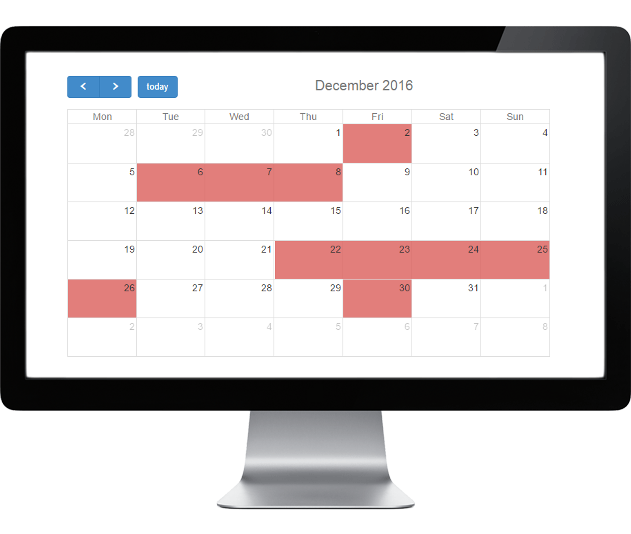 Display a Planyo.com calendar with custom information about reservations. Looking for more than just a calendar preview widget? Would you like to take online reservations and accept payments on your website? If so, check out world's most flexible online reservation system Planyo.com and start your obligation-free 30 day trial. 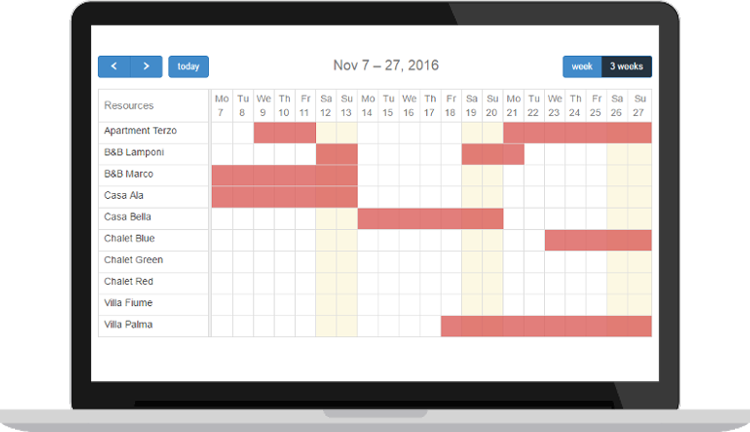 Our calendar lets you import iCal calendars for different resources or persons and present them on a single calendar. A number of views (day/week/month etc.) can be made available to your visitors to choose from. Accommodation owners must advertise their properties on different channels such as Airbnb or HomeAway. 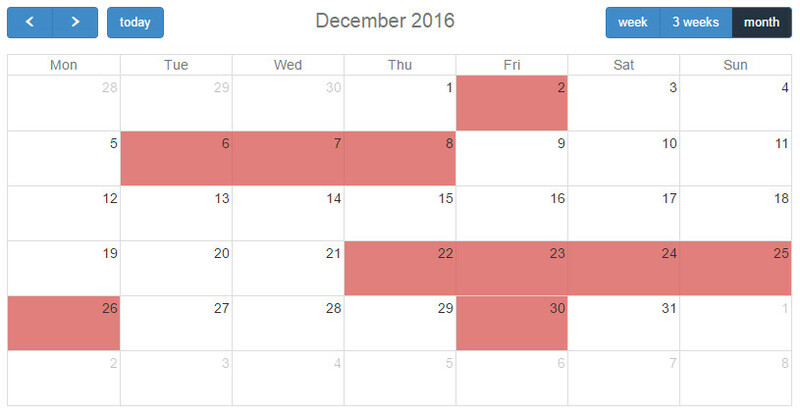 With Planyo.net you can embed an availability calendar on your website and display reservations from all channels / sources. At the same time you can hide personal information of your guests. You can use our calendar to merge any other type of bookings or events from a number of iCal sources. 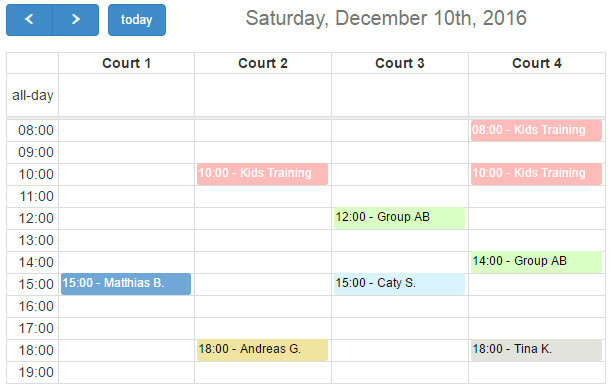 If you're using Planyo.com or another good booking system for your online bookings, you can use a Planyo.net calendar to display a calendar with custom information about your reservations, such as the first name (or nick name) of players in a tennis/squash club. Or if you have conference rooms you can display a schedule mentioning just the name of the company that reserved the room for given time. 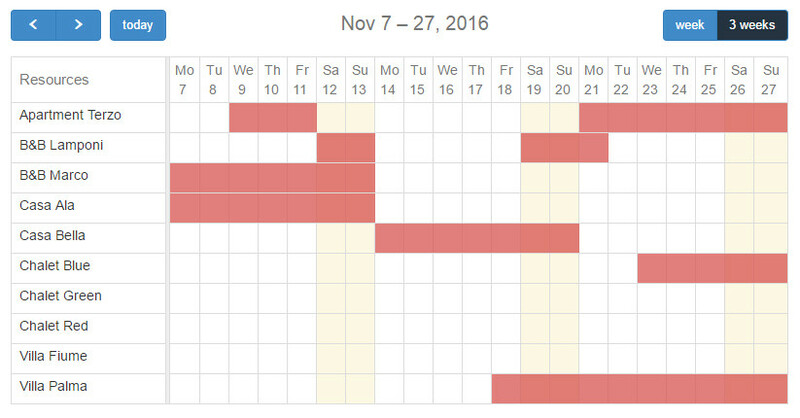 Planyo.net will work great if you need to present only availability information on a calendar. iCal feeds from services like Airbnb, Homeaway will include guest information which should be hidden from your website visitors. The same feature lets you present schedule from a Google Calendar or Apple iCalendar also hiding information about your events or appointments. Planyo.net is created by a Swiss software company developing quality software since 1997. 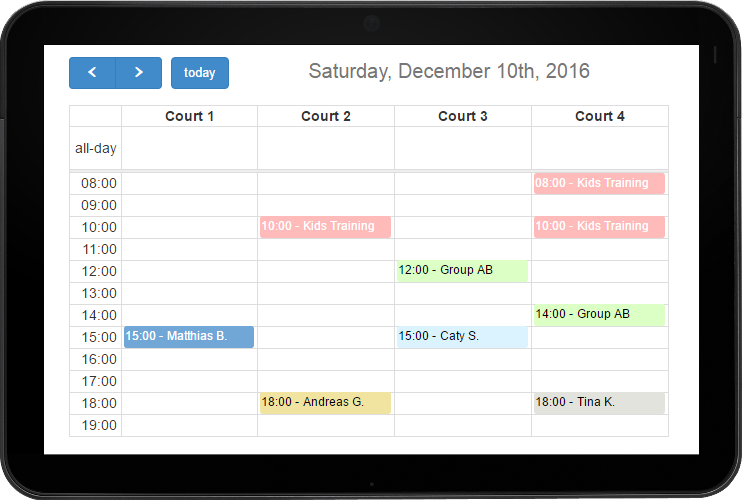 Your calendar will look great on any device, such as a tablet, mobile phone or desktop. Our calendars will show up-to-date information from your iCal feeds with refresh rate of 30 minutes.  Use Planyo.net with any scheduling system supporting the iCal format such as Apple iCalendar, Google Calendar, Airbnb, Homeway etc. Very easy configuration and insertion into your website. A number of calendar views (day, week, month, agenda etc.) and features are available. You can import up to 10 iCal feeds representing one or more resources into a single calendar. Create your free calendar in 5 minutes. You'll only need to confirm your email address, enter your iCal feed sources and copy&paste HTML code for the calendar on your website. We are a Swiss company founded in 1997 and since then we have been continously creating high quality software and web services. Our main product is Planyo.com, the most flexible online booking system on the market. Planyo.com can be used for any business accepting bookings. Planyo.net is a free service and can be used also if you don't have a Planyo.com account.